Home Digestive Health Did Scientists Just Discover Why Some Old People Get So Skinny? As people age, a lot of things change in regards to their physiology. These obvious signs of aging happen for a multitude of reasons. For instance, skin begins to wrinkle as it begins to lose elastin and collagen. Eyesight also begins to fade as your eyes’ lenses begin to harden; the nerves in your eyes begin to operate out of whack, and musculature ceases to perform at the same level. Perhaps one of the most noticeable signs of aging, however, is the amount of weight many elderly people lose. Approximately 15-20% of seniors lose weight when they experience a condition known as “anorexia of aging.” The exact causes for this unintentional weight loss are yet to be determined. There could be a number of contributing factors that might cause anorexia of aging; these include depression, grief, and a lack of physical activity. However, there is a new wrinkle in the research regarding weight loss for seniors we might have discovered. According to researchers at Plymouth University in the United Kingdom, a possible reason so many elderly people waste away is because they always feel full…even if they haven’t eaten for some time. This feeling of fullness arises because their bodies are producing a hormone called Peptide YY (PYY), which makes them feel full for longer periods of time. And really, why would you want to eat if you felt full? 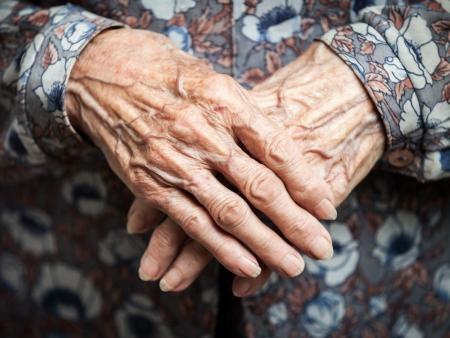 While their research is hardly conclusive, the researchers determined PYY might be contributing to anorexia of aging by measuring the hormone levels in elderly people shortly after a meal. As they reported in their published findings (found in the journal Appetite), it seems high levels of this hormone are what caused elderly people to eat so little. This is especially the case because the test subjects had way more PYY in their bodies than did the younger test subjects with similar health profiles. To determine this was accurate, the researchers took 31 healthy adults from the ages of 21-92 (six of them were 80), and performed diagnostics on them after their midday meal. Each subject fasted for several hours in the morning and then was asked to eat a 660 calorie meal. After the participants ate, they each had their hormone levels tested. “The researchers measured their levels of PYY, ghrelin, and glucagon-like peptide 1 (GLP-1) – a hormone that is responsible for reduced appetite and the release of insulin – at regular time intervals over a 3-hour period. When the subjects with high levels of PYY were asked about their next meal, they reported they didn’t really enjoy eating it and they therefore decided to reduce how much they ate after their first meal. Again, this test is by no means conclusive, but it definitely falls in line with what we know about how hormones affect health. Further testing in PYY levels and weight loss needs to be conducted, but I would hazard a guess they’re going to conclude with similar results. Do findings like this surprise you at all?